Mama Love: Thirty-One Gifts Review and Giveaway! Thirty-One Gifts Review and Giveaway! I have a treat for you guys today! Thanks to the lovely Lisa Brinkley, a Thirty One Gifts consultant, I am going to be sharing with you about some of Thirty-One Gifts’ Hottest products for the summer! “I am a mom of two beautiful children, Savannah and Tanner. They fill my life with joy everyday with them and watching them grow! Being married to my wonderful husband for almost 10 years, we have grown into a wonderful family together and continue to enjoy life day to day. Being a stay at home mom has its challenges, just like any job, but when I came across Thirty One, their products have begun to make my life a little easier. Their products help me to organize my home, travel and daily life with the family. While doing so they are adorable and cute to carry around! They have so many options for each of their bags and they come out with so many beautiful fabrics as the seasons change! So, heres to hoping the Thirty One products make a big difference in your life!!" I had heard of Thirty One Gifts, but never been able to attend a party to purchase. But I love browsing the catalog and I was SO excited. 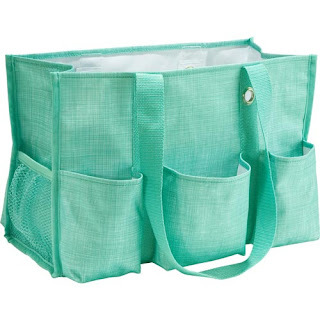 Thirty One has tons of bags, totes, purses, thermal totes, baskets, and other home organization tools and so much more. You get to chose your product, fabric pattern and you can add embroidery, too! This Bag is truly wonderful!!!! I know I can use this for so many things, but currently I’m using it as a diaper bag, Well Kid bag my youngest is 2 1/2 and is potty trained but we still have to carry extra clothes, her favorite toys, cups, snacks and just whatever else! And this bag is great for us I don’t really carry a purse with kids in tow, and with this tote there are tons of pockets to put my stuff in (keys phone wallet etc) and still have enough room for little miss’ things without carrying a huge bulky bag, and not to mention the tote is truly adorable so it is great to use for my “kid Bag” without sacrificing style! It’s perfect, i just hate I didn’t have it when we actually had to carry a fully packed diaper bag because it would’ve been wonderful! But with this tote your options for use do not end at just a bag for kids, this would be great for office use, or anywhere that you have to carry supplies back and forth, My mind automatically went to teachers gifts too when I saw this bag, it would be perfect for a new teacher gift to give at the beginning of a school year, or how about those new grads heading off to college you know they could use some stylish organization: the uses for the Organizing Utility totes are truly endless!! And remember there are tons of options for fabric patterns and embroidery to truly customize this bag! OH I was super excited for this bag for summer! This oversized bag holds a LOT! It's perfect for toting towels and toys to the pool, carrying your sports gear to the big game, or for taking on camping trips and more! 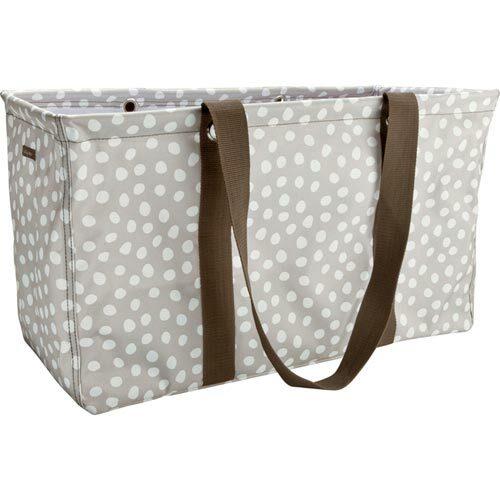 The structured frame keeps the bag open to carry bulky items, then easily collapses for storage. It is wonderful and once again adorable and on a recent outing to a soccer game I probably was stopped 10 times and asked where it came from, and of course I told them about Lisa’s Thirty-One Gifts! Look How much this holds, that is a full size comforter in there with room on the sides to spare! This was another one I was totally excited about for summer! We live sort of close to the park (about a 20 min walk) so during the summer the kids always want to go play/picnic there, and taking lunch or drinks was always difficult to do, with keeping them cool enough without carrying 5+ kids lunch boxes or a bulky cooler, now I don’t have to worry I just put whatever we may need in this thermal tote and Know it’s going to stay cool enough on our outing! I’m already plotting it’s use for a trip to the zoo and hiking this summer too! Once again it’s in a darling and stylish print that I will be proud to show off! Overall My experience with Lisa and Thirty-One Gifts has been wonderful!! With Thirty-One Gifts you know you are getting a high quality product that is not only stylish but functional! I don’t think that there is a single product from Thirty-One Gifts that I don’t like, I mean they are all so wonderful!! And Shopping with Lisa Brinkley I can guarantee you that you'll receive the best customer service, seriously she is the nicest and quick to respond to emails! Also they have different special every month and you can be added to her email list to get those specials sent directly to you so you don't miss out on anything. Also it is free to host a party and to become a consultant you can get 300 dollars worth of product for only 99 dollars how awesome is that, for more info on hosting a party or joining the wonderful world of thirty-one gifts just contact Lisa! 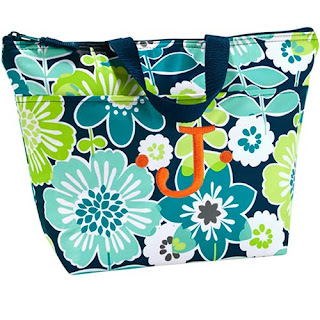 June for Every $35 spent you can get a Large UtiLity tote For onLy $10! 31% OFF ANY ITEM IN THE CATALOG! 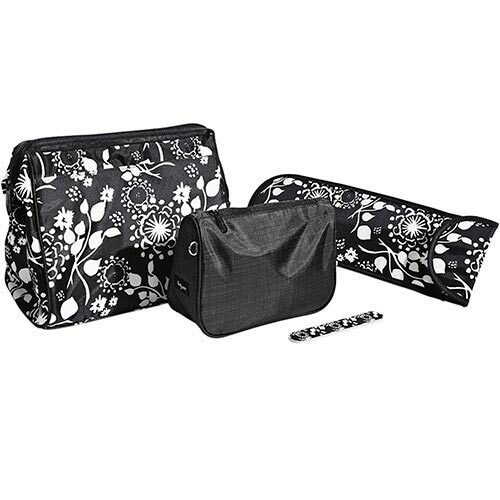 Lisa has been so Kind and is offering one of you lucky readers a chance to win a bundle that features a Cosmetic Bag Set, Manicure Nail File and Flat Iron Case. It's perfect for packing all your beauty essentials for a road trip or just storing them around the house. It’s a $59.00 value. I love the retro metro tote!! I like the Lunch Break Thermal-best buds. So cute for lunch. Organista Crossbody bag is great!